To say that we are obsessed with our sweet new addition to our family would be an understatement! 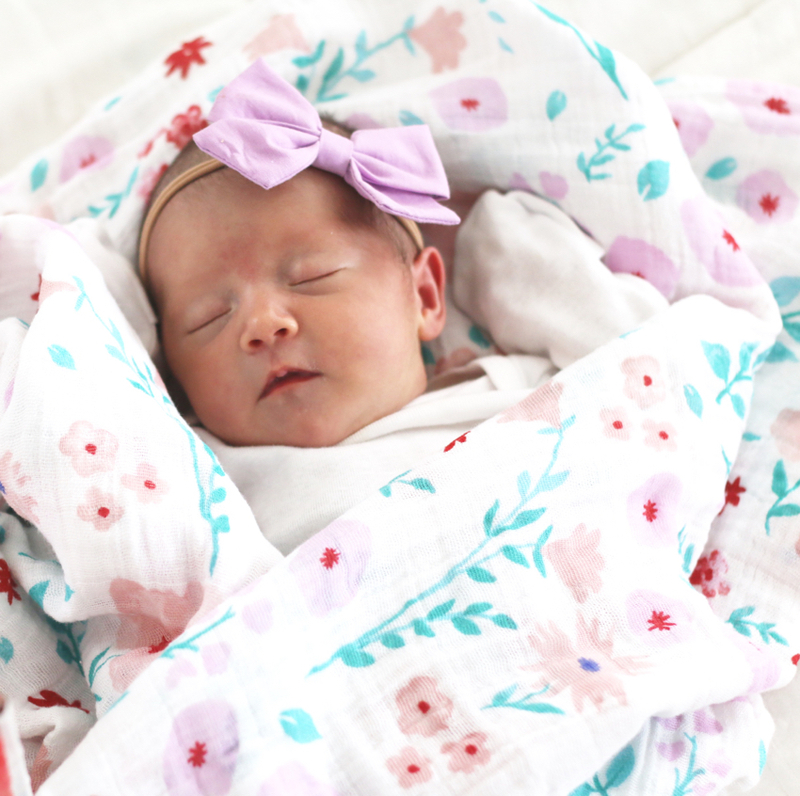 Little Monroe is the sweetest bundle of joy that we can’t stop cuddling, kissing, and pampering! Mason has been the best big brother! He always wants to go into her room when she’s napping and check on her (let’s hope she stays a heavy sleeper). It’s funny how much you forget as a mom as your babies grow up! Having Monroe has reminded of all the newborn joy. I can honestly say I LOVE it and am obsessed! I forgot about the around the clock diaper changes, the endless burp clothes, and the sensitive skin. Keeping our little girl happy and healthy is the most important thing! So I have come up with my Top 3 Tips for Taking Extra Special Care of our Newborn that I wanted to share with you! We always want Monroe to be as comfortable & cozy as possible. Huggies Little Snugglers have provided the upmost care and comfort! My favorite things about them is how soft they are on her new skin both inside & the super soft outer cover! I also love the wetness indicator! This is convenient, especially when I’m on the go! I can quickly check the indicator to see if she needs to be changed without getting her undressed. 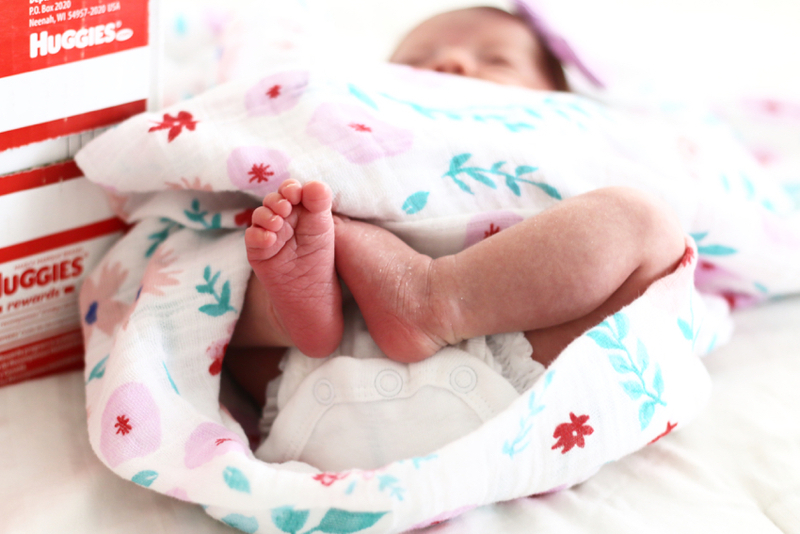 My most favorite thing about Huggies Little Snugglers is the snug fit of the waistband and the Gentleabsorb® liner that prevents her from leaking out of her diapers! 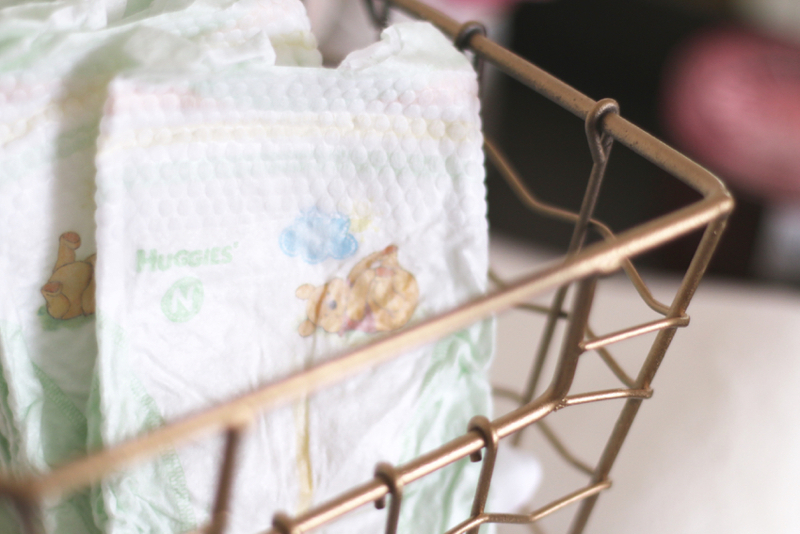 We tried another brand before using Huggies Little Snugglers and she was leaking out of every single diaper! 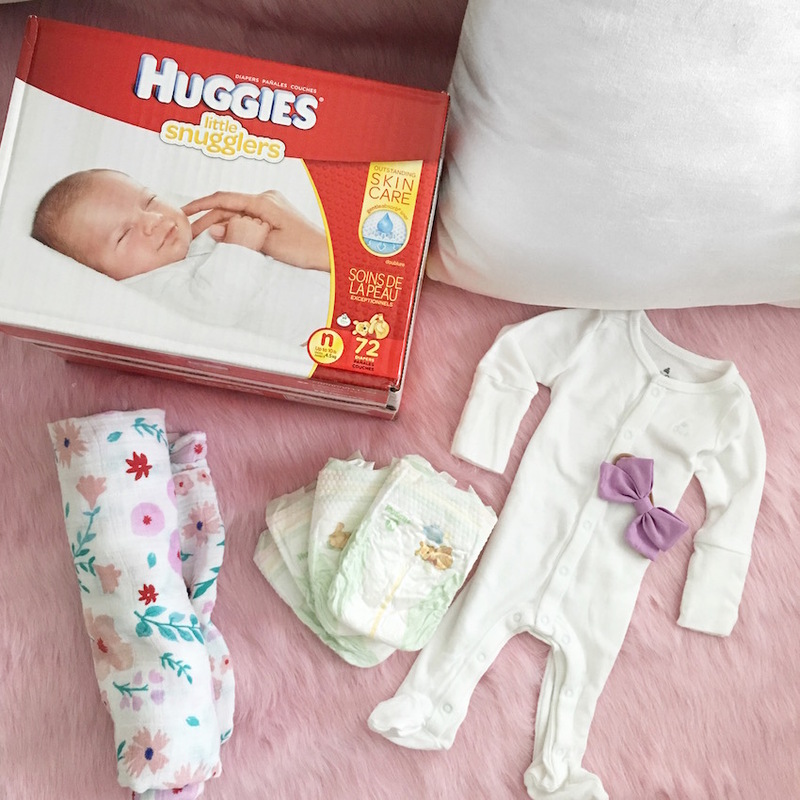 We finally found Huggies Little Snugglers and will never look back! As a momma of 2 now time is of the essence! The fact that I can go to Smith’s (Kroger) grab groceries for the week and a big pack of Huggies Little Snugglers is so helpful! Click here to save $2 on Huggies Little Snugglers at Smith’s now through 5/30, while supplies last! It’s not secret that I am a germ freak! I love having sanitizing wipes in every room as well as hand sanitizer! I am constantly making sure everything is clean, vacuumed, and wiped down! I know you can’t protect babies from every single germ and some are even good for them in building their immune system but keeping things as clean as I can really helps Monroe and everyone else in our family! Little baths are some of my favorite moments with our kids! As much as I love to bathe the babies with Monroe we only bathe her twice a week! As a newborn her skin is so sensitive I don’t want to over do it or dry her skin out. We wipe her down with a warm damp washcloth every night before bed but don’t put any products on her. This is one of the best tips my friend gave me and I have found her skin has stayed healthy and moisturized! 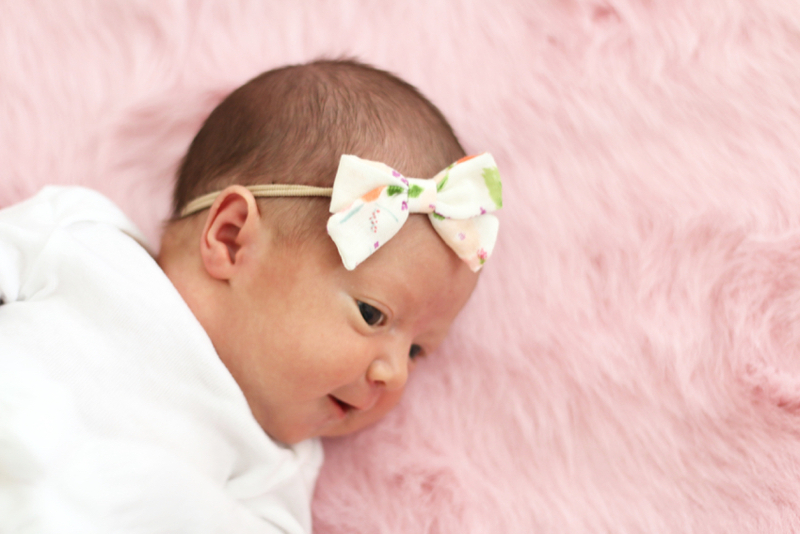 I’m so excited to be able to share with you guys my favorite tips for our newest babies! I always love hearing everyones tips so if you have any others please share!